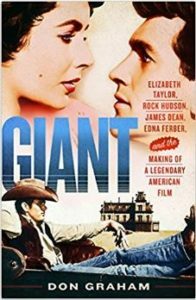 Don Graham is the author of Giant: Elizabeth Taylor, Rock Hudson, James Dean, Edna Ferber, and the Making of a Legendary American Film, released April 10, 2018 by St. Martin’s Press. The Dallas Morning News has called Don Graham “Our premier scholar and critic on Texas literature, films and pop culture.” He is J. Frank Dobie Regents Professor of English at the University of Texas at Austin. He is also a writer-at-large with Texas Monthly magazine. Don Graham’s publications include No Name on the Bullet: A Biography of Audie Murphy (1989), Cowboys and Cadillacs: How Hollywood Looks at Texas (1983); and Kings of Texas: The 150-Year Saga of an American Ranching Empire (2003), which won the T.I.L. Carr P. Collins Prize for Best Nonfiction Book awarded by the Texas Institute of Letters. He has served as that organization’s president. His awards include the Best General Criticism Award from the City/Regional Magazine Association, for his literary columns in Texas Monthly. 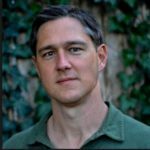 He received the University of Texas Regents’ Outstanding Teaching Award in 2013, an Alcalde Top Ten Professors Ever Award in 2014, as well as the Chancellor’s Award for Outstanding Undergraduate Teaching at UT in 2006. Don Graham’s research interests include Southwestern American Literature/ Film, Nineteenth & Twentieth Century American Literature/Culture, and Australian Literature. Don Graham holds a Ph.D. in American Literature from the University of Texas, and an MA and a BA in English from North Texas State University. 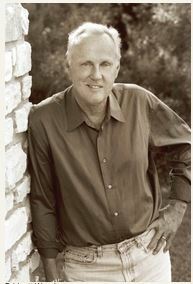 He lives in Austin with his wife, Dr. Betsy Berry.